PINE BLUFF, Ark. – With no green showing in the pasture, few livestock producers are thinking about weed control, but now is the ideal time to control troublesome pasture weeds, says Dr. David Fernandez, Cooperative Extension Program livestock specialist at the University of Arkansas at Pine Bluff. Not only are some weeds toxic to cattle, but also weeds adversely affect livestock operations in many ways. Weeds compete with desirable pasture grasses and legumes for nutrients. Some are unpalatable; livestock will not eat them so less feed is available in the pasture, says Dr. Fernandez. 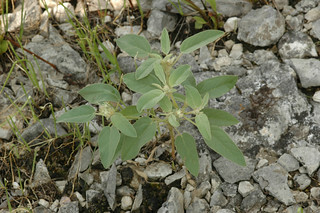 Some weeds cause injuries or pain if they have thorns. “Weed control can be an effective way to increase production by improving forage availability,” says Dr. Fernandez. Mowing, grazing, improving soil fertility and herbicide spraying are some of the ways to control weeds. Mowing should be done in the boot stage before flowers emerge. Weeds can flower and set seed very quickly. Once the seeds develop, mowing just spreads them further into pastures. Some weeds are both palatable and nutritious early in the growth, and livestock will readily graze them. To control weeds by grazing, subdivide weedy pastures, and place a high concentration of animals on one paddock, advises Dr. Fernandez. The animals will eat or trample the weeds. The grass can recover once the animals are moved to the next paddock. Grazing should not be used to control weeds toxic to livestock, warns Dr. Fernandez. Weeds can outcompete more desirable species under conditions of low fertility. Most of Arkansas’s better pasture grasses and legumes do poorly in acidic soils. Phosphate and potash levels in Arkansas soils tend to be lower than optimum for many forages. Adding lime to control soil pH and fertilizing according to soil test results can give grasses and legumes a chance to outcompete the weeds after an initial round of another control method. Some common weeds in Arkansas respond well to late winter/early spring herbicide treatment including buttercup, the first weed to emerge, wild garlic or wild onion and thistles. 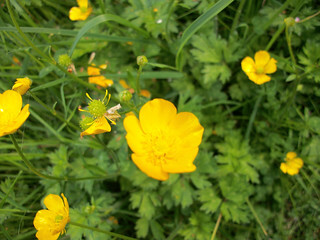 Spraying now for buttercup will prevent pastures from turning yellow with buttercup flowers this spring. Thistles are best treated in the rosette stage before he flower stalk begins to grow. 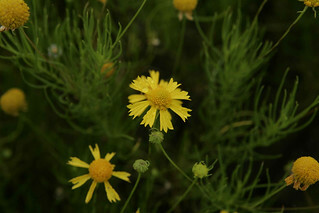 Two common, toxic Arkansas weeds, bitter sneezeweed and woolly croton, are best treated in May and June, says Dr. Fernandez. Extension publication MP 44 Recommended Chemicals for Weed and Brush Control contains herbicide recommendations for pasture weeds, and your county Extension agent can help you choose which herbicide is most appropriate for the weeds on your farm.